Richard Fleischer | 50 Westerns From The 50s. A year or so ago, I had the extreme pleasure of being on Todd Liebenow’s excellent podcast Forgotten Filmcast, which features a film blogger covering a favorite movie they consider under-appreciated. We covered Last Train From Gun Hill (1959). 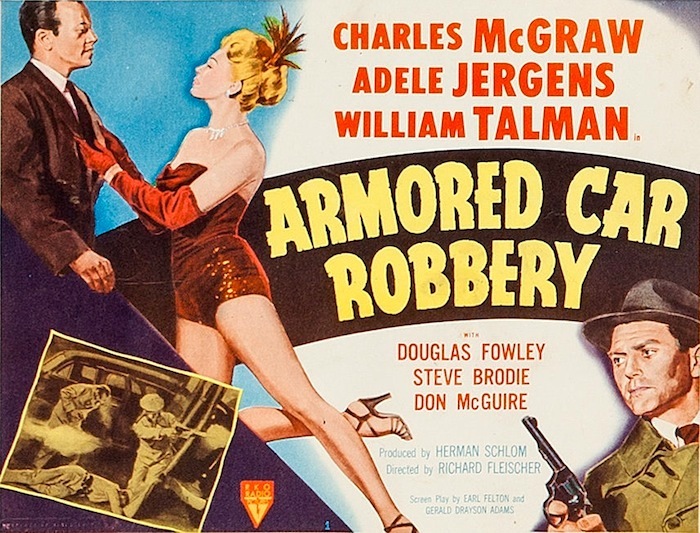 They invited me back, and this time it’s Richard Fleischer’s terrific crime picture Armored Car Robbery(1950) starring Charles McGraw and William Talman. We recorded it first thing in the morning, so let’s hope I’m halfway articulate.